Sometimes its really hard to believe Such Mind Blowing Art Work, An Artist Fredo from Chile represents his most impressive Drawing work that are highly detailed that look real. It usually takes Fredo from 30 minutes to a month to finish each piece. 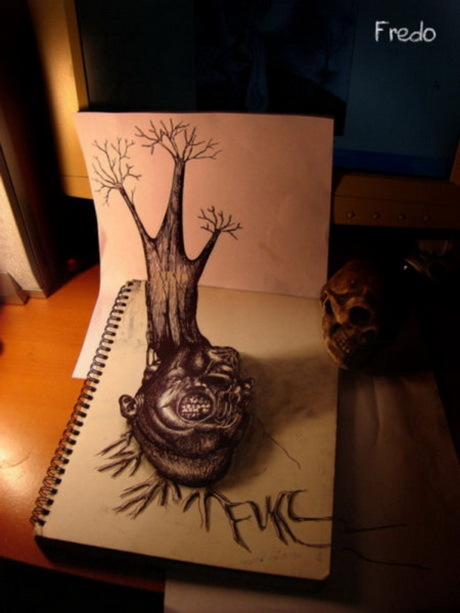 Have a look on his 3D Pencil Drawing Talent as follows.